Running Late FYI is a service that seeks to improve employer-employee relationships through automated notifications when employees may be running late due to public transport issues. Employees will also benefit by knowing when they can expect their commute to be disrupted by delays in public transport without having to seek out the information themselves. Ideally this will allow the employees to plan accordingly to reduce their lateness. 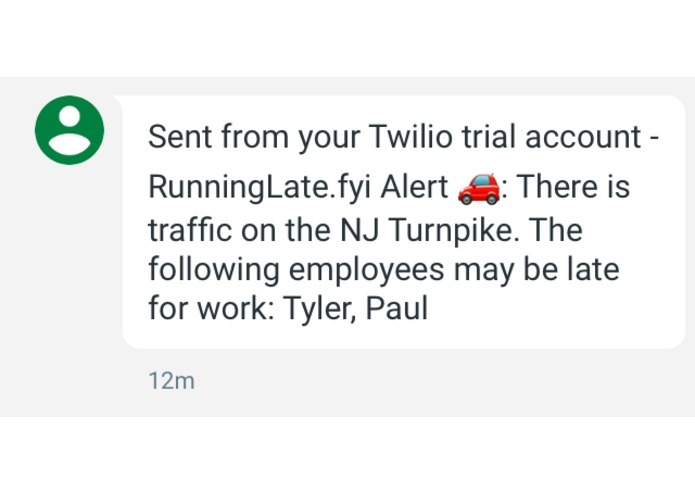 Our program automatically checks traffic conditions during an employee's commute, and sends a text message to both the employee and employer about a potential delay. 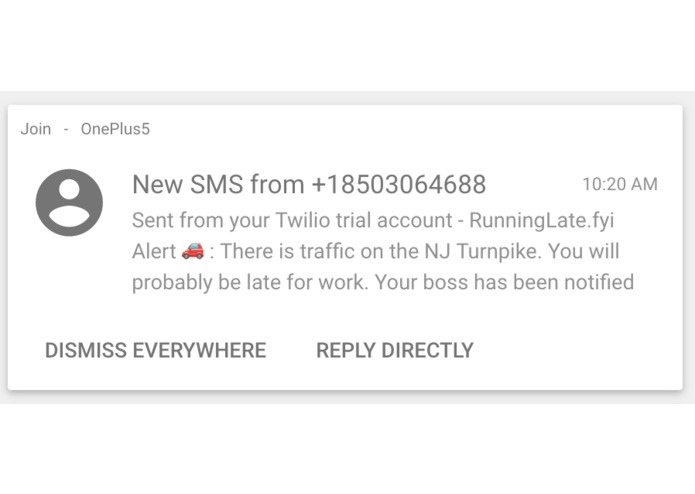 If multiple employees are delayed during a commute, their boss will only receive one text message containing information about all late employees. You interact with our website through our online web app, through which users can manage their account and company settings. From the website, employers would manage employees, send invite links to new employees, and change their notification settings. This is also where employees enter their address and commute settings. Since our program is targeted towards an office environment, we made several decisions to optimize for this use case. First, our program priorities privacy. Neither the employee nor the boss will have access to the other's phone number and address. Furthermore, our application takes a strong approach towards security. 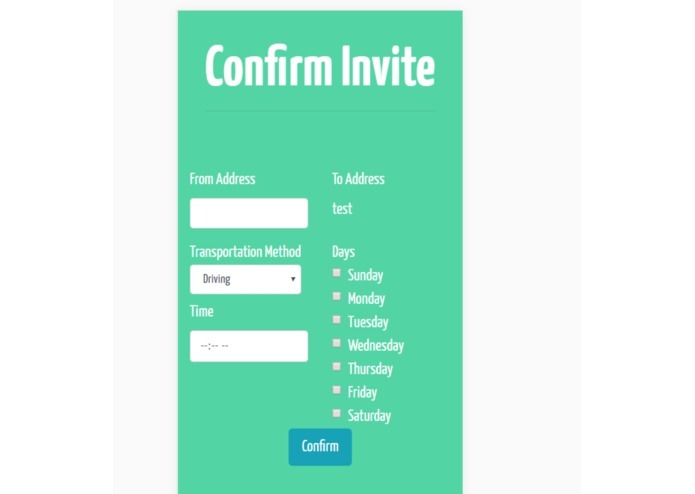 When registering for the site, a random code is sent to the phone number to verify that the phone belongs to the employee. This prevents malicious individuals from connecting to a company's Running Late network. 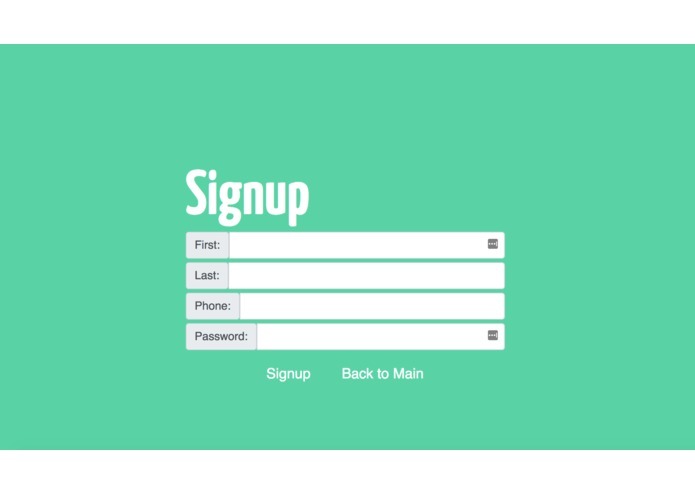 We build our website using ReactJS and Bootstrap. Our server is running on an AWS Lambda function that is used to process incoming requests. We used Chalice to create the API endpoints for our application and map it to the lambda functions. Our database is stored on an AWS Relational Database Service that is running MySQL. We had trouble connecting our domain name, runninglate.fyi, to our AWS account. This is due to the fact that it takes 24 hours to register a domain name on Domain.com, and the hackathon was only 24 hours long. Before ProfHacks, each of us had only a little experience with Amazon Web Services. During this hackathon we learned how to deploy an API on AWS Lambda and link it to a database instance. We plan on making it easier for companies to get set up with Running Late FYI. This includes automatically inviting employees to the website and allowing for bosses to better manage their company. We will also supporting more modes of transportation, including biking in cities. Running Late FYI could also be used in non-workplace settings. Our project could be useful in the home. Family members could create a group and get notified when a member of their family is late coming home. This would create piece of mind for parents, to know that their children are safe.